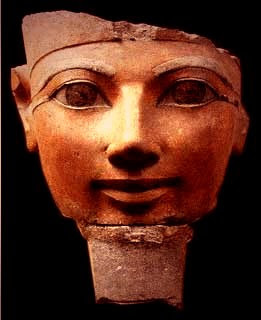 The royal mummy of ancient Egyptian pharaoh Hatshepsut (d. ca. 1458 B.C.) 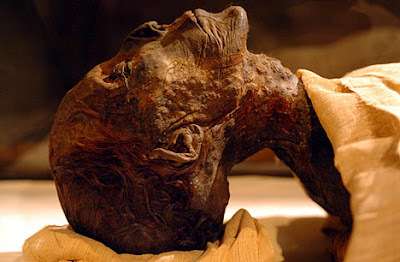 was identified in 2007 as one of two mummies excavated by Howard Carter (1874-1939) in 1903. Now German researchers plan to resurrect her scent from residue found in a 3,500-year-old perfume bottle that was found with her possessions and is engraved with a hieroglyph of her name. 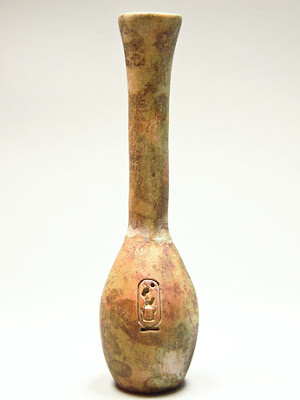 "We think it probable that one constituent was frankincense – the scent of the gods," declares Michael Höveler-Müller, curator of Bonn University's Egyptian Museum, which holds the bottle in its permanent collection. Pharmacologists will analyze the sediment - which can be clearly discerned in x-rays - in the hope that the ancient perfume can be recreated.